24 Blacklight - Fixture & Lamp"
The E-123 is great for clubs, DJs, bands and special effects productions. 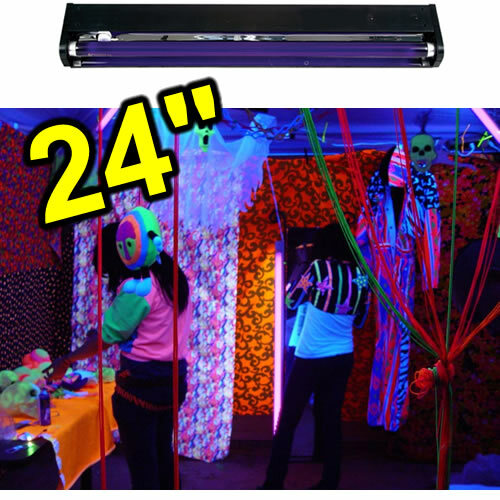 Each Black Light comes complete with a tube and fixture and features a hanging bracket, a reflector for optimum output of lamps, a six foot power cable and quick start electronic ballasts. Dimensions: 5"H x 3"W x 25"D, Weight 2 lbs. Great for clubs, DJs, bands and special effects productions.